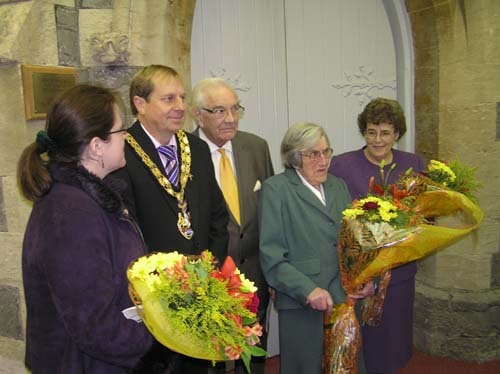 For photographs of the Flower Festival please click here. For other photographs please click here. 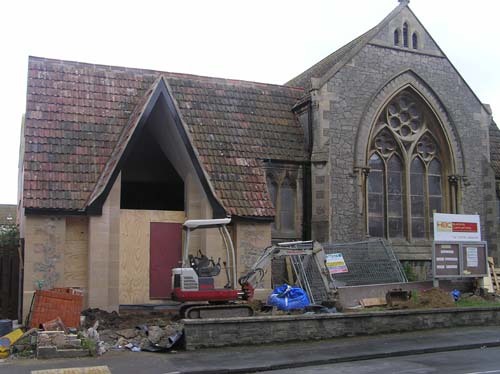 For earlier photographs of the building work Click Here. 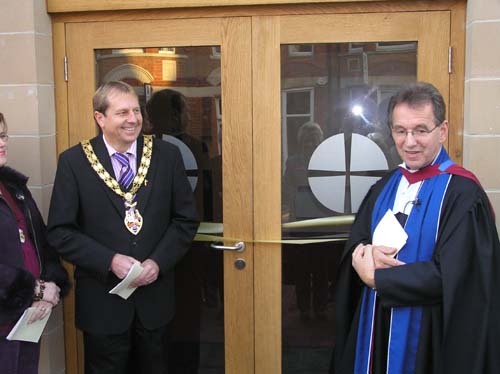 7/12/08 The official opening of the extension and redecorated church. 4/12/08 Interior view of the redecorated church. 20/9/08 Interior view of the new entrance lobby. 8/9/08 The new doors and windows are now in place. 14/8/08 The new steps are now in place, leading up to the new entrance. 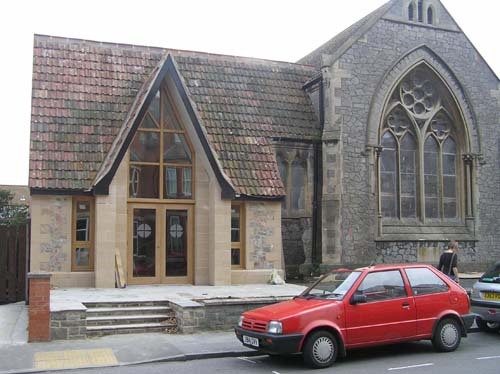 1/8/08 With the fencing removed, you can see the full aspect of the extension. 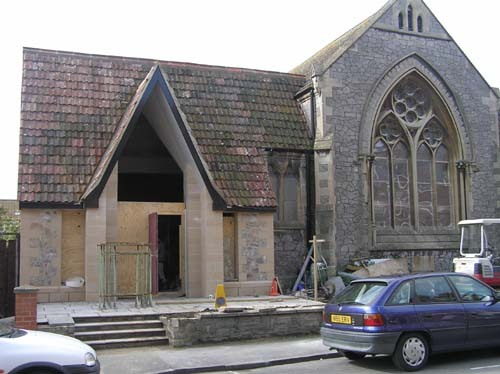 17/7/08 The roof is now tiled and the scaffolding is down. 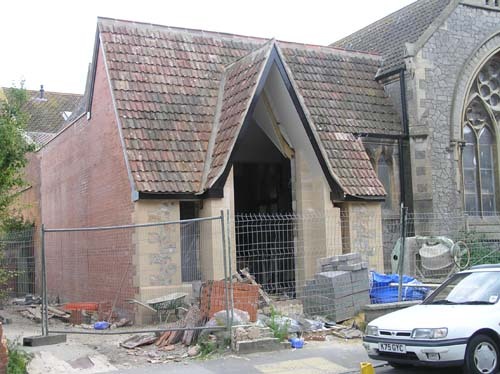 5/7/08 The roof is now nearly tiled. 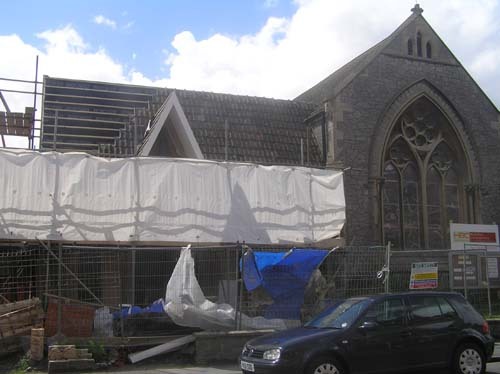 3/6/08 The roof timbers continue to take shape. 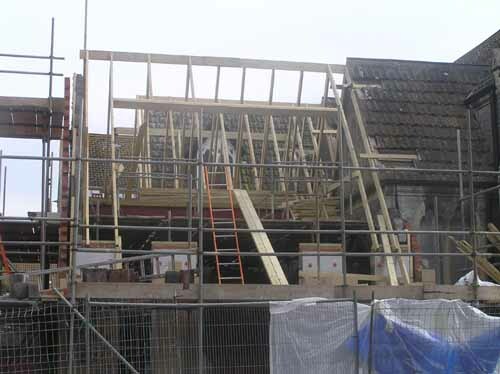 29/5/08 The roof timbers start to take shape. 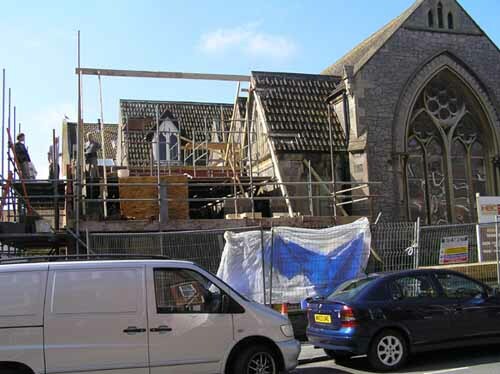 14/5/08 Scaffolding is now in place and the walls continue to grow in height. 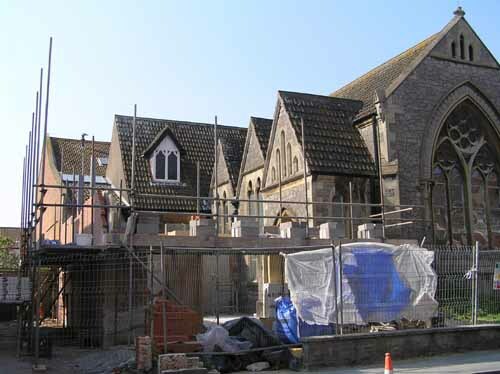 8/5/08 The doorway and windows start to take shape.